Activision announced today that the recently released downloadable content (DLC) for Infinity Ward’s Call of Duty: Modern Warfare 2 has set new Xbox Live Sales record. More than 2.5 million Xbox Live users downloaded the DLC at $15 a download since its March 30 release. That adds $37.5 million to the over $1 billion worldwide the game has already taken in. It is currently the 3rd best-selling game of all time in the US. A second map pack was announced with the first map pack, but no dates have been mentioned. 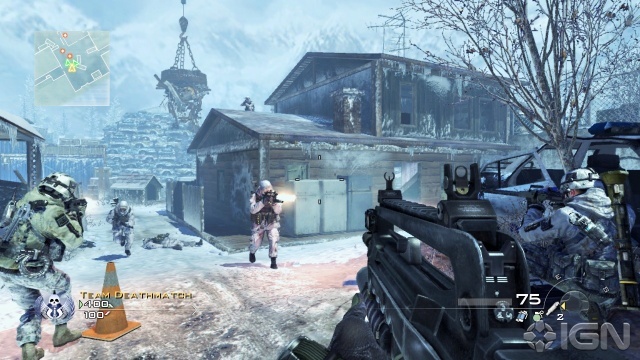 The DLC, dubbed the “Stimulus Package,” features three new maps, as well as two maps form Call of Duty 4: Modern Warfare. “Xbox LIVE is the largest Call of Duty community of any entertainment system. According to Microsoft, Call of Duty: Modern Warfare 2 players have invested more than 1.75 billion hours of gameplay on Xbox LIVE alone since the title’s release in November, which is equal to more than 200,000 years of gameplay playing Call of Duty: Modern Warfare 2,” the Activision press release touted. The results come as good news for Activision, which is currently preparing for what could be a bitter legal drama after firing Infinity Ward president Jason West and CEO Vince Zampella. The map packs are available only on Xbox Live until April 30, when they will be available for the PlayStation 3 and PC.